Knowledge and experience are obviously key when it comes to providing dental care that exceeds expectations. At Denmark Dental we know that experience in hands-on patient care is what sets us apart from the average dental clinic in Eagan. Find out why Eagan families continue to rely on us for compassionate and gentle, yet innovative dental services time after time. Denmark Dental has been serving the Eagan area for more than 40 years and is operated by an experienced, caring team that is committed to delivering high-quality family and cosmetic dentistry to our patients. Backed by innovative techniques and equipment, our staff delivers unmatched patient care that keeps individualized attention a priority. After earning his undergraduate degree at St. John’s University in Collegeville, MN, Dr. Brandon Helgeson went on to receive his doctorate at the University of Minnesota School of Dentistry. He is a member of the American Dental Association, Minnesota Dental Association, St. Paul District Dental Society, and the Academy of General Practice Orthodontics. In addition to preventative care, his interests include complex cosmetic and restorative dentistry, and managing patients with temporomandibular disorders (TMD). 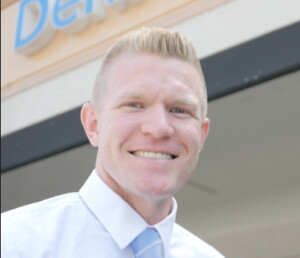 Dr. Helgeson is passionate about providing you and your family the highest quality dentistry in a relaxing environment. In his spare time, Dr. Helgeson likes to stay active. He enjoys running (including four marathons so far), golfing, and playing softball. Originally from St. Paul, Dr. Robert Casper received his doctorate in dental surgery from the University of Minnesota. After graduation, Dr. Casper spent another two years at the university doing post-graduate work in oral biology. 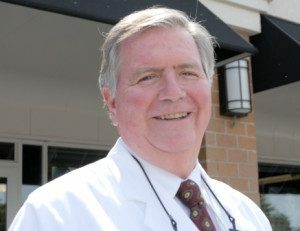 In 1976, he established a small private practice in Eagan. After several successful years, Dr. Casper moved his practice to a larger facility in its current location in 1989. Dr. Casper has a particular interest in cosmetic dentistry, fixed prosthodontics (crowns and bridges) and children’s dentistry. As a member of the Minnesota Academy for Gnathological Research, Dr. Casper has received special training in problems related to the jaw (TMJ) and bite reconstruction. Actively involved in professional organizations, Dr. Casper is a member of the St. Paul District Dental Association, the Minnesota Dental Association, and the American Dental Association. He has served on the St. Paul District Speakers Bureau for 10 years and has been a delegate to the Minnesota Dental Association for three years. Dr. Casper’s stellar reputation as an experienced dental professional has earned him a number of invitations to speak at industry associations and organizations over the years. It also earned him the prestigious “Top Dentist” award from Minnesota Monthly Magazine in 2007, 2009, and 2010. Outside of our Eagan dental clinic, Dr. Casper enjoys a full life of family and other activities. He enjoys biking, boating, and spending time with his family; he and his wife, Mary, have seven grandchildren. Dr. Casper is also active in church and community activities. Denmark Dental specializes in a variety of family and cosmetic dentistry services. 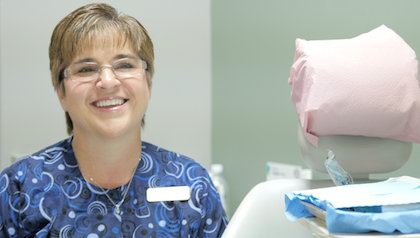 From routine cleanings to dental implants, our Eagan dentists are committed to providing prompt, gentle, and friendly service to all of our valued patients. Schedule your appointment by calling 651-452-4455.